Maybe your home décor is a mix of marble and warm metallic (if so, you’re right on trend with the best room decor). Or maybe you’re just looking to add some sparkle to your bar. In either case, a classic silver cocktail shaker just won’t cut it. Luckily, this Moonglow Cocktail Shaker from Anthropologie provides a bold, beautiful alternative. 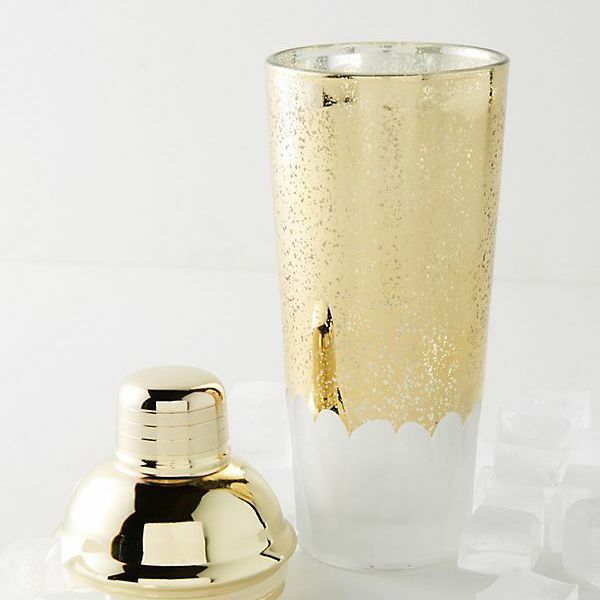 Made of molded glass and stainless steel, this shaker comes in gold that’s flecked with bits of shiny white. The result is an almost magical product that’s sure to be a welcome addition to your cocktail tool set. Much like a baker, a bartender needs to get her proportions right in order to mix up a great cocktail. But who can remember the exact ratios of whiskey and vermouth needed for a Manhattan, not to mention what exactly goes into a mojito? Not to worry: this stylish shaker takes the memorization out of mixology. It has see-through walls to show how much you’ve poured and guidelines for measuring out a martini, Manhattan, mojito, Long Island iced tea, margarita or cosmopolitan. This shaker even includes instructions for how to garnish your drinks. Who said a cocktail shaker set has to feel haughty and stuffy? This mason jar cocktail shaker sets aside the expected cosmopolitan design in favor of a down-home vibe. At 30 ounces, it holds more liquid than your average cocktail shaker. And with a wood muddler and stainless steel jigger included, you’re all set to mix up the perfect batch of mojitos for your friends or family. Bonus: the jar lid shaker top is a standard size across all mason jars, so any mason jar you come across can become a cocktail shaker just by screwing on this top. Metal pineapples are everywhere right now. You don’t have to look high and low to find metal pineapple salt and pepper shakers, metal pineapple table lamps, metal pineapple candle holders or even metal pineapple garbage cans. Don’t let this pineapple craze pass without outfitting your home bar with this fruity and fun cocktail set. It comes with a copper pineapple cocktail shaker, two copper pineapple shot glasses and two pineapple-top covers for the shot glasses that double as bases for the glasses to sit on. You’ll instantly feel a bit closer to a tropical paradise when you’re mixing drinks or just placing this set on display. You can even pair your set with some pineapple-shaped martini picks and some pineapple-shaped string lights to complete the look! Cocktail shakers don’t have to be made of smooth, shiny aluminum or stainless steel. This one from Julia Knight turns the classic look on its head while still offering a timeless feel. Sure, the inside and top of this shaker are made of stainless steel — since it’s an ideal material for routine exposure to liquids — but instead of a smooth, polished finish on the outside, the surface of this shaker is coated in a scalloped enamel finish. The edges of this textured section are ringed with tiles of crushed mother of pearl. The manufacturer claims that no two shakers are the same. We’re certain that no one will have a cocktail shaker quite like yours. Get seriously stylish when outfitting your bar cart by grabbing this handcrafted copper cocktail shaker. The contrasting stainless steel lid and hammered, copper-plated base make your shaker stand out as a bar centerpiece. The lid seals well and the shaker holds enough liquid to make two martinis, old fashioneds, negronis or whatever else you decide to whip up. 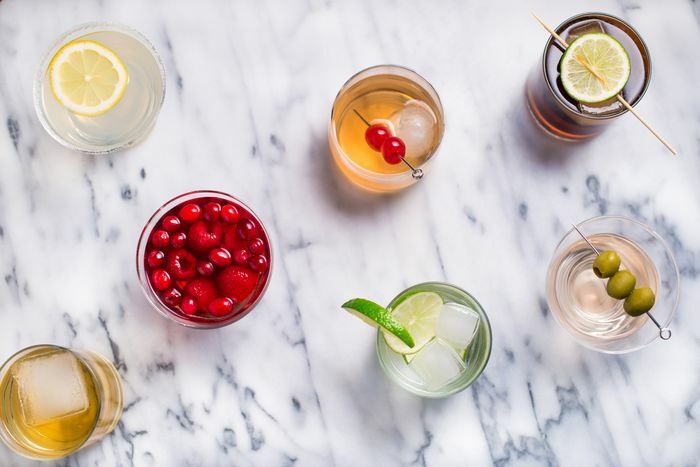 And if you’re a fan of delicious Moscow mules — and who isn’t? — you can display this shaker along with the drink’s distinctive copper mugs. Now all you need is some vodka, ginger beer and lime juice and you'll be on your way to a good time. The signature finish of OXO’s Good Grips line of kitchen products is its non-slip plastic coating in any spot where you’re likely to grip, twist, squeeze or shake. OXO’s version of the cocktail shaker is no exception. The entire area around the top of the shaker is covered in non-slip material, so you can close, shake and open it again with ease. And unlike most run-of-the-mill cocktail shakers, this one is double-walled, so your cocktails stay chilled and your ice melts slower, even if you let your freshly shaken cocktail sit in the vessel for a bit. Start getting serious about your cocktail game with this modern-looking cocktail shaker. The double-walled insulation keeps your ingredients chilled, while the gold-brushed stainless steel and matte black exterior make sure your bar’s style is always on point. The built-in strainer keeps unwanted ice out of your drink and the removable citrus reamer allows you to squeeze fresh juice directly into the shaker. 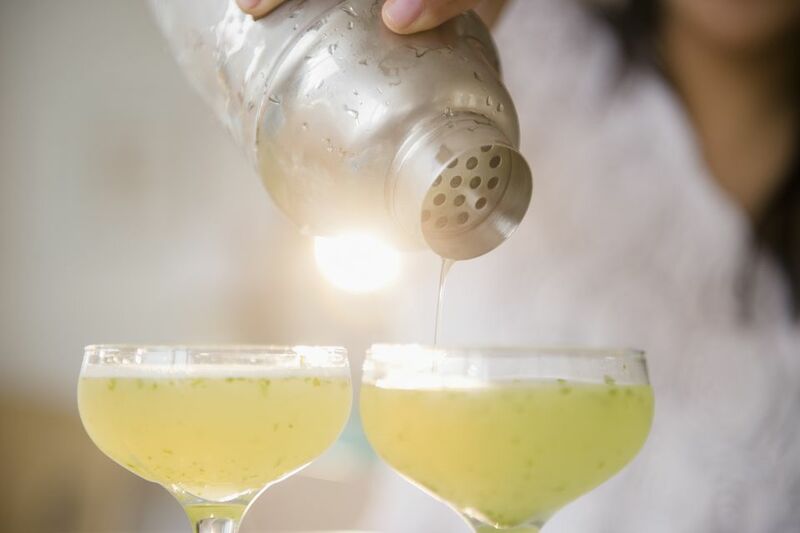 This cocktail shaker lets you be the best mixologist you can be by giving you the tools to work with fresh ingredients at the right temperature in the perfect proportions. Make drinks at lightning speed in this cocktail shaker that looks like a vintage race car. Guests will do a double take when they walk past your bar cart and see what looks like a really luxe toy. Display it on all four working wheels to create a stunning work of art that will be the focus of your bar. Then, open it up to reveal a well that holds 12 ounces of your favorite spirits and mixers. The shiny, mirrored finish is made from nickel-plated cast aluminum that needs to be hand washed to keep it in peak condition (just like the retro car you wish you had parked in your garage right now).